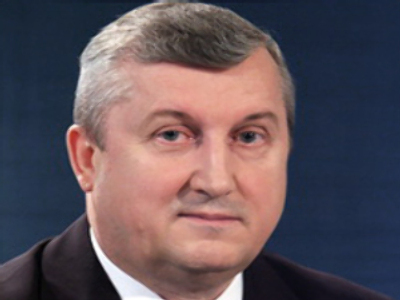 The presidential envoy in the Ural federal district, Pyotr Latyshev, has died at the age of 61. The presidential administration says the death was caused by a heart attack, although a representative of the Ural embassy has told RIA Novosti that Latyshev had not complained of any health problems. Latyshev, a retired police general-colonel, has held the post of envoy since May 2000. Latyshev led an active political life. In 2007 he was named among the top 100 most influential politicians in Russia – the only representative of the Urals to do so. One of his major projects was the industrial link between the north and south of the region. It led to the construction of railway links, new roads, power stations and thousands of miles of power lines. This was needed to deliver minerals, ores, metals and other mined elements to the industrial heartlands in the region’s south. The presidential envoy started a video blog several weeks before his death. It appeared on the official web site of the Urals federal district. Pyotr Latyshev was born on August 30, 1948, in the city of Khmelnitsky in the Ukrainian SSR. He graduated from the Omsk Police high school of the Ministry of Internal Affairs of the USSR in 1970. In 1980 he graduated from the Academy of the Ministry of Internal Affairs of the USSR. Latyshev started working for law enforcement bodies in the Perm regional executive committee. From 1986 to 1991 he worked as the head of the Department of Internal Affairs of the Perm Executive Committee of the City Soviet of People's Deputies. From 1991 to1994 Latyshev headed the Department of Internal Affairs of the Krasnodar region. From 1994 to 2000 he held a post of the Deputy Minister of Internal Affairs of the Russian Federation. In 2000 he became the envoy of the president of the Russian Federation in Uralsk federal district. He was awarded several times: “For merits before Motherland of the third degree” for the major contribution into strengthening of the Russian statehood and long-term diligent work. Later, “For merits before Motherland of the fourth degree”. He also received the Honour award, and also an award of Sacred Saint Sergiy Radonezhsky of the first degree. He was married and has two sons. U.S. officials to pay for Russian plane crash?